Although socio-cultural issues in relation to women within the fields of sport and exercise have been extensively researched, this research has tended to concentrate on the Western world. Women, Sport and Exercise in the Asia-Pacific Region moves the conversation away entirely from Western contexts to discuss these issues with a sole focus on the geographic Asia-Pacific region. Presenting a diverse range of empirical case studies, from bodybuilding in Kazakhstan and Thailand, karate in Afghanistan, and women’s rugby in Fiji to women’s soccer in North Korea and netball in Papua New Guinea, the book demonstrates how sports may be used as a lens to examine the historical, socio-cultural and political specificities of non-Western and post-colonial societies. 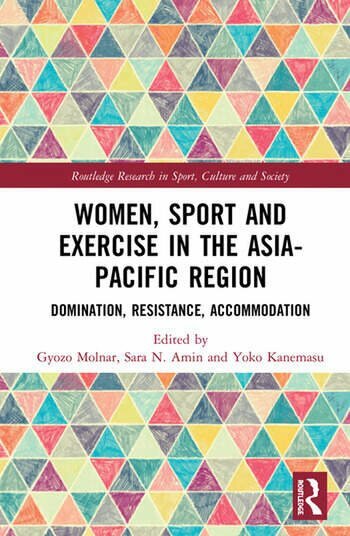 It also explores the complex ways in which non-Western women resist as well as accommodate sport and exercise-related sociocultural oppression, helping us to better understand the nexus of sport, exercise, gender, sexuality and power in the Asia-Pacific area. This is a fascinating and important resource for students of sports studies, sports management, sport development, social sciences and gender studies, as well as an excellent read for academics and researchers with an interest in sport, exercise, gender and post-colonial studies. Gyozo Molnar is Principal Lecturer in Sport Studies at the University of Worcester, United Kingdom and was Reviews Editor for the Sport in Society journal. His current publications and research revolve around migration, globalisation, national identity, the drive for muscularity and feminist methodologies. Sara N. Amin is Lecturer of Sociology at the University of the South Pacific, Fiji. She was the Co-Principal Investigator on a multi-country research study examining how gender relations in Muslim families in South Asia are being negotiated as women’s opportunities for education and employment expanded between 2013 and 2017. Her research focuses on the intersection of gender, migration and identity. Yoko Kanemasu is Senior Lecturer of Sociology at the University of the South Pacific, Fiji, where she teaches feminism, social theory, and research methodology. She was one of the convenors of the first academic conference to focus on rugby in the Pacific region, Fiji Rugby Centenary Conference: Reflections on the Past, Present and Future, held at the University of the South Pacific in 2013.